●The equipped touch panel and buzzer alert you when the unit stops with an error. ●It is easy to change the materials. 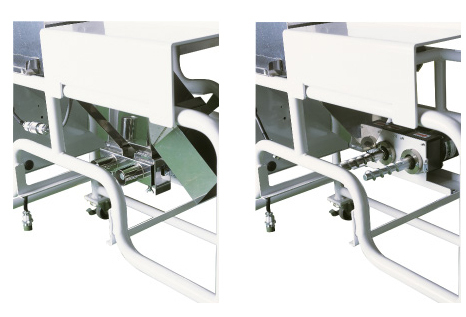 ●The inside of the Gran Mixer is easy to disassemble and clean without any tool. ●The mixture tank stores both the virgin and the recycled materials. Any wings or blades are not necessary for further mixing. 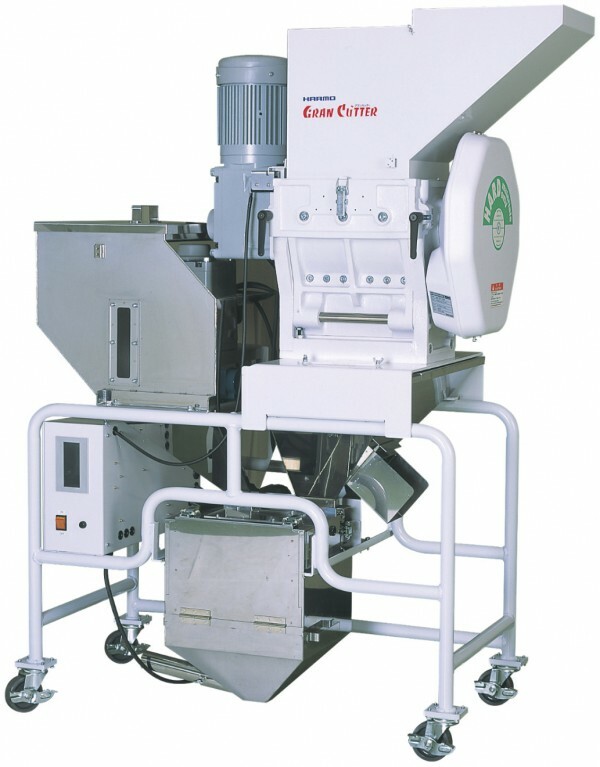 ●The motor mounted on the frame eliminates the hassles for removing the motors while cleaning. ●The touch panel and the buzzer alert you when the bin is full. 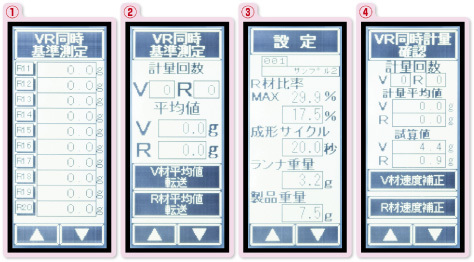 ■The measuring procedures are much easier now with the the improved mixing screw unit. improved compared to the conventional unit. 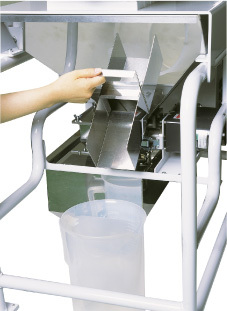 The lid on the mixing tank can serve as a table to put the included measuring cups. The screw automatically stops by the timer during measurement. ■Finger-tip operations with the touch panel. (1) Measure the virgin pellet (V) and the granules (R) with the measuring cup. Repeat for a few times and enter the measurements. The unit starts to run the reference measurement. (2) The unit automatically calculates and saves the average of the reference measurements, and then transfers the average value. configures the number of screw rotations. (4) The unit compensates the difference between the actual measurements and the provisional calculations.